Winner of the Millennium Prize of 2016 Frances Arnold and the President of the Republic of Finland Sauli Niinistö. ​Millennium Technology Prize is Finland's tribute to innovations for a better life. Nomination period for a ground-breaking innovation will run from 1 April until 31 July 2019. ​The Millennium Technology Prize highlights the extensive impact of science and innovation on the well-being of society. The Prize is one million euros and awarded every second year by Technology Academy Finland, an independent foundation. Who is the next winner of the Millennium Technology Prize? Former winners of the Millennium Technology Prize include Shinya Yamanaka for the development of ethical stem cells, Tim Berners-Lee for the World Wide Web, and Tuomo Suntola for ALD, a nanoscale technology that enables the manufacturing of modern, high-performance computers and smart devices. Nominations for the prize are welcomed from organizations anywhere in the world and in all fields of technology except military technology. The nominee can be a single person or a team. The 2020 Millennium Technology Prize will be awarded in Helsinki Metropolitan area, Finland, on 26 May 2020. The prize is awarded by the independent foundation Technology Academy Finland. The nominees will be evaluated by the International Selection Committee, composed of leading experts in research and industry. The patron of the Millennium Technology Prize is the President of the Republic of Finland. The award sum of one million euros is donated by the Finnish Government. Nominations can only be submitted via TAF's electronic nomination portal between 1 April and 31 July 2019. 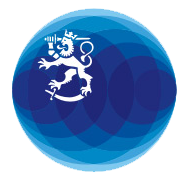 The portal and detailed nomination criteria and instructions can be found at millenniumprize.fi/cfn.